Cheerleading is a popular sport, ubiquitous at schools across the country, with millions of athletes in the United States alone. Here's info on the history of the sport, statistics, and other notable people and details that made cheer what it is today. You can take this fun trivia back to your squad. How much do you know about cheer's history? Cheerleading is more than 100 years old. In the beginning, all cheerleaders were men. The first cheerleaders in the United States were organized by a Princeton graduate named Thomas Peebles who had been a "yell leader" there as a part of the pep squad. It's said that he moved to Minnesota and there he spurred the idea of organized cheers to support the University of Minnesota football team, who were undergoing a losing streak. In the November 2, 1898, football game between Princeton and the University of Minnesota, six male cheerleaders entertained the crowd for the first time. They were led by Johnny Campbell, and this date is considered the birth of cheerleading. It's reported that Campbell's first cheer was, "Rah, Rah, Rah! Ski-u-mah, Hoo-Rah! Hoo-Rah! Varsity! Varsity! Varsity, Minn-e-So-Tah!" This apparently led to the popular "sis boom bah" cheer. In 1903, the Gamma Sigma fraternity was founded as the first for "cheer leaders." Women joined cheerleading squads in 1923. During World War II, the shift to mostly female cheer squads began. Pom-poms were invented in the 1930s and were originally called pompons. There are at least 4 million cheerleaders in 31 countries. Some statistics point to 3.82 million cheerleaders in the United States alone (as of 2017), aged 6 and up. 97 percent of all cheerleaders are female. However, almost 50 percent of collegiate cheerleaders are male. 80 percent of schools in the United States have cheerleading squads. The most popular sport for cheerleading is football. 12 percent of cheerleaders are aged 5 to 13 years, and 12 percent are dancers. 83 percent of all cheerleaders have a B average or better. 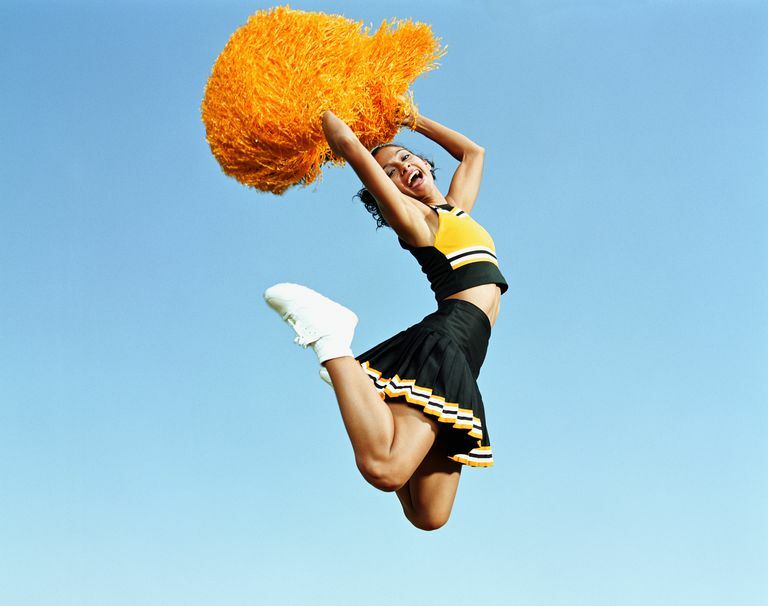 62 percent of cheerleaders are involved in a second sport. About 98 percent of all female cheerleaders were former gymnasts, compared to just 20 percent of all male cheerleaders. In 1983, ESPN was the first to broadcast the National High School Cheerleading Competition. At the University of Kentucky, the average cheerleader is 5 feet to 5 feet 1 inch and weighs 97 pounds. The average cheerleading squad size in Britain is 18.4 (per club), and the average age is 15. Of the 85 known squads in Britain, almost 80 are British Cheerleading Association members. Some of the most common cheerleading injuries are broken arms and busted lips. Most happen during pyramids. Country music star Lila McCann performed cheerleading routines for the Queen of England. George W. Bush, Dwight Eisenhower, and Franklin Roosevelt were all cheerleaders. The cheerleading capital of the United States is considered to be Texas. The Dallas Cowboys cheerleaders were the first organized squad in the NFL. Texas is also where a mother was accused in 1991 of hiring a hitman to kill her daughter’s rival in a cheerleading competition. Do you know what groups have been important to cheer? The National Cheerleader Association (NCA) was founded by Lawrence "Herkie" Herkimer in 1948. Herkimer had cheered for Southern Methodist University, and the first cheer clinics were held in Huntsville, Texas. 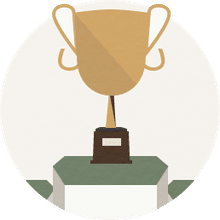 The American Association of Cheerleading Coaches and Advisors (AACCA) and the National Council for Spirit Safety and Education (NCSSE) are important organizations in modern cheerleading. They set safety standards and provide training to ensure fewer injuries.